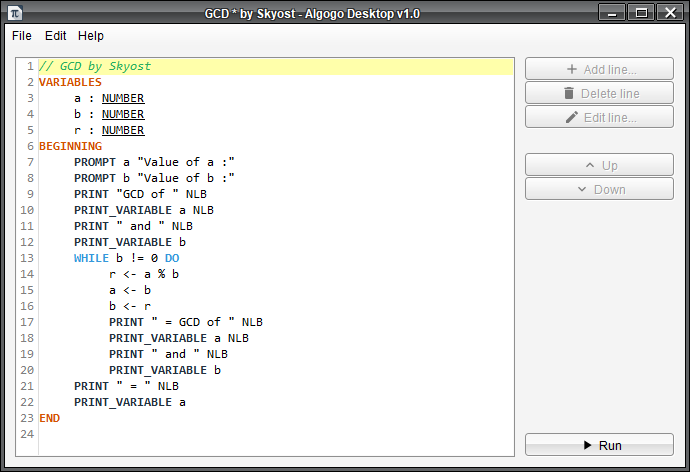 Algogo is an algorithm editor and interpreter. Lightweight and easy to use, it is free and open-source. Download Algogo Desktop Looking for Mobile version ? Algogo has a lot of features ! Discover them now by scrolling down the page. 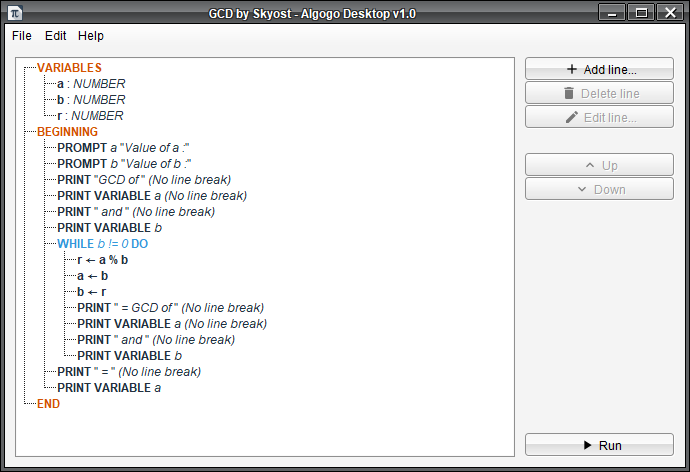 Algogo Desktop is very lightweight (approximately 5 Mo). The software is really easy to use. No need to know how to program ! Want to run it on Windows, Linux or Mac ? You can. You are free to contribute to the software's development. The software can be used in class for learning purposes. 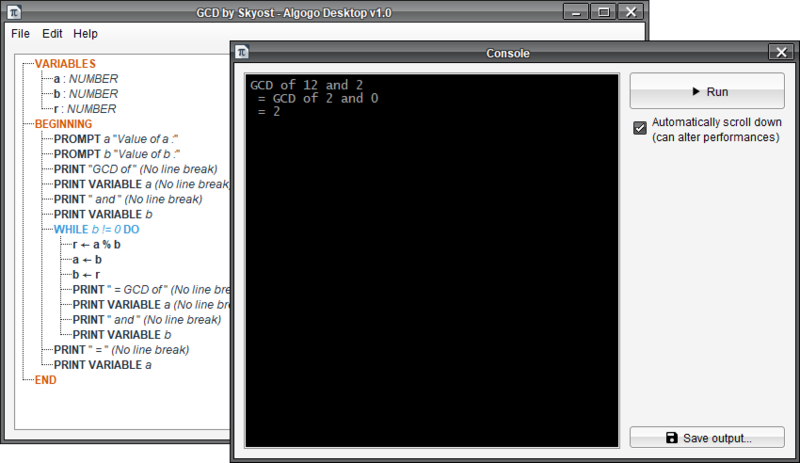 Want to see how Algogo Desktop looks ? Here are some screenshots for you. The tree of an algorithm. It is possible to use Algogo on your mobile. All features are still available so don't worry ! Theme and software created by Skyost. Theme inspired by PrettyDocs.